Dave Christian doesn’t remember much about his introduction to hockey. He can’t tell you about the first time he wore skates or when he first wielded a tot-sized stick. As the son of an Olympic hockey hero who was part owner of a world-renowned hockey stick factory in self-labeled Hockey Town, U.S.A., Christian’s course was charted even before he was born. Christian grew up in Warroad, about six blocks from the town’s hockey arena. He can remember looking out the windows of his house toward the rink, trying to determine if it was open. “There was a vent facing toward my house that you could look through and tell if the lights were on,” Christian said. As he grew older, Christian discovered the rink was -- if you knew a trick or two -- always open. Christian was practicing with the Warroad Lakers, a senior hockey juggernaut loaded with former college and Olympic stars, even before he was playing high school hockey. Bill Christian still was playing center for the Lakers, and he also coached many of his son’s youth teams. Christian was a dominating force the instant he stepped on the ice for Warroad’s varsity team. He was named all-state as a sophomore and would receive the honor again as a junior and senior. “He was so motivated,” said Roseau’s Bryan “Butsy” Erickson, who grew up playing against Christian. “He had an extremely high motor. He just went all out every shift. I played against him in college and with him and against him in the NHL, and he was no different there than he was in high school. As a high-schooler, Christian wasn’t surrounded by a lot of top-caliber talent. He remembers having just one teammate, Conway Marvin, who went on to play Division I hockey (Marvin and Christian both played at the University of North Dakota). Christian would rotate between forward and defense for the Warriors, rarely leaving the ice. Warroad’s lack of depth gave it little chance to beat many of northern Minnesota’s powerhouse teams. 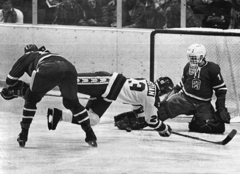 Neighboring Roseau featured more Division I-caliber players on one line (Erickson and the Broten brothers, Neal and Aaron) than the Warriors produced in Christians’ three varsity seasons. 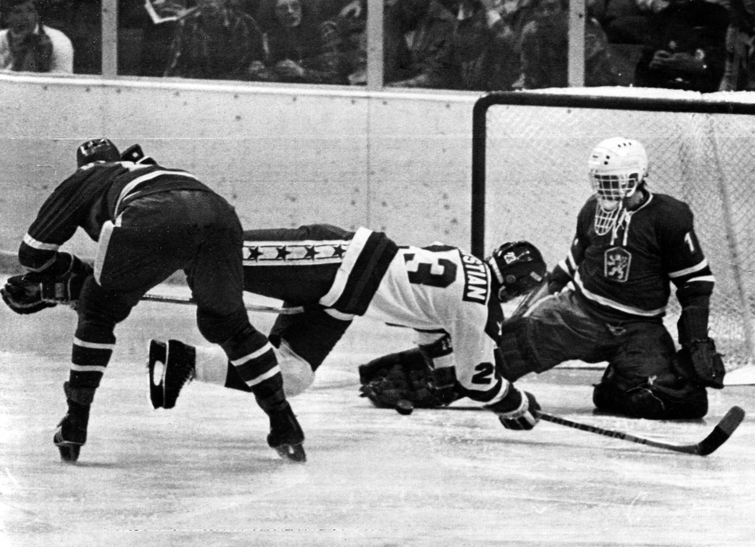 “Warroad, as I remember it, they were hurting for numbers,” said former Roseau coach Gary Hokanson. ” They didn’t have seven or eight guys who were going Division I like we did. (Christian) had to carry the load for them. Warroad lost in the Section 8 quarterfinals in each of Christian’s three varsity seasons. With Christian as a senior, Warroad was upended by Fergus Falls 4-3 in the Section 8 quarterfinals. “Looking back at it, at the time it felt like it was devastating not to go to the state tournament,” Christian said. Christian was recruited by several top Division I college programs but quickly selected North Dakota and Minnesota as his finalists. 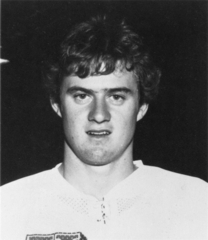 He turned down a scholarship offer from Gophers coach Herb Brooks to play in Grand Forks, N.D.
During the spring of his senior year at Warroad, after the Warriors had been eliminated from the playoffs, Christian suited up for the Lakers and played wing on a line centered by his father. 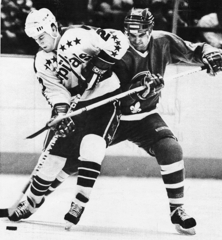 Christian would duplicate his father’s feat of winning a gold medal by starring for the U.S. Olympic team in its stirring 1980 “Miracle on Ice” in Lake Placid, N.Y.
Christian, who was drafted 40th overall by the Winnipeg Jets in 1979, played in more than 1,000 regular-season NHL games, mostly with Winnipeg and the Washington Capitals. He still holds the NHL record for fastest goal by a player in his first game, scoring 7 seconds into his opening shift. 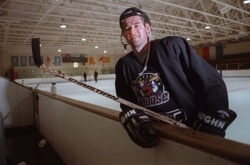 Christian, who was coach and general manager of the USHL’s now-defunct Fargo-Moorhead Bears for parts of three seasons from 1997-2000, lives in Moorhead and works for Cardinal Glass Industries in Fargo, N.D.